Maritime Provinces of Bangladesh, Second Edition is licensed under a Creative Commons Attribution-NonCommercial 4.0 International License. Part or whole may be reproduced in print or electronic format for a non-commercial purpose only with due attributions. 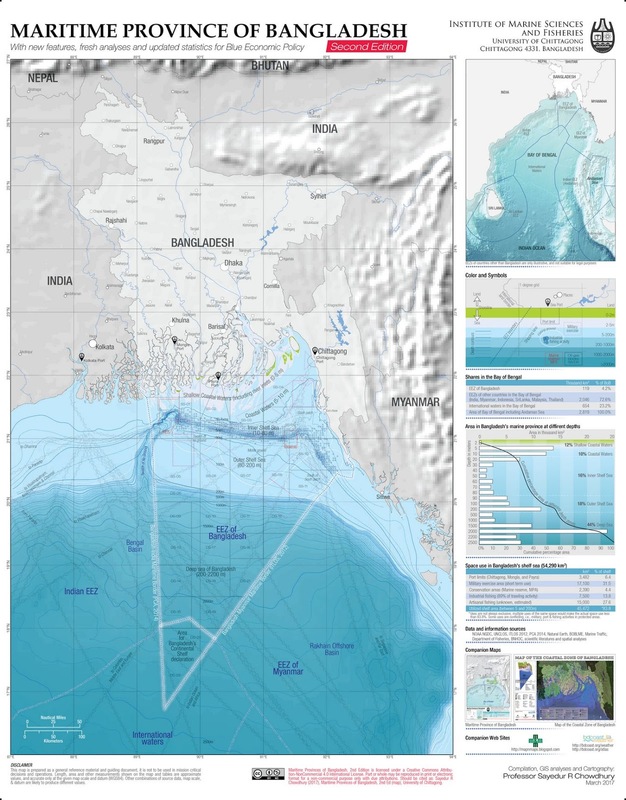 Should be cited as: Sayedur R Chowdhury (2017), Maritime Provinces of Bangladesh, 2nd Ed (map), University of Chittagong. High-resolution copy is available here.